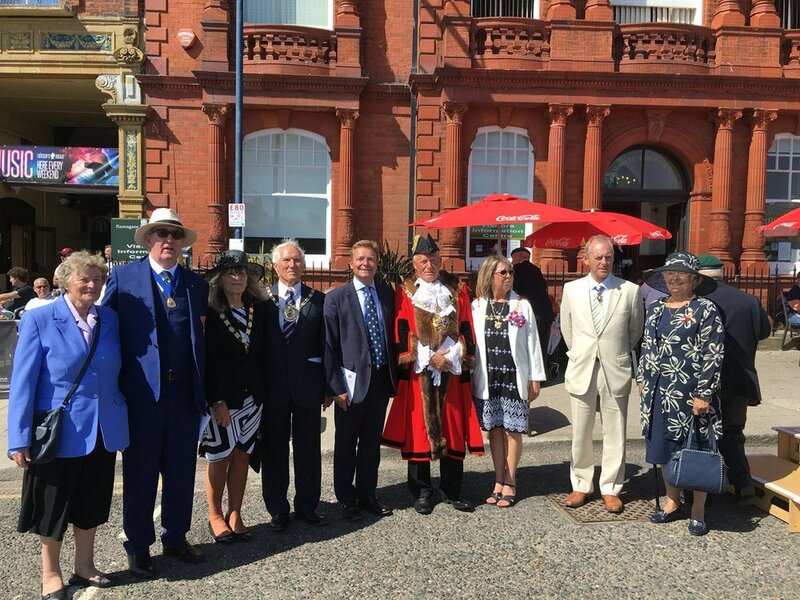 On Saturday, 30 June, Craig Mackinlay MP joined Ramsgate’s Civic Party, including the Town Mayor, at the Armed Forces Day Parade and Service of Thanksgiving. The Parade was led by The Central Band of the Royal Air Force during which the South Thanet MP and Civic Party processed from the Custom House in Ramsgate to the Turning Circle at the end of Harbour Parade for the Drumhead Service, prayers and hymns. A salute was taken outside the Custom House after the Service. “I was delighted to join Ramsgate’s Mayor, Cllr Trevor Shonk, and Civic Party at the Royal Harbour in support of our Forces, serving personnel, veterans and their families on this year’s Armed Forces Day. While Armed Forces Day takes place on the last Saturday each June, celebrations began this year on Monday 25 June when the Armed Forces Day flag was raised on buildings and famous landmarks around the country. This year’s National Event was held in Llandudno, North Wales and many local events also took place across the country.